Defense: Select a strong DEF card to defend enemy's chosen card attack. Passing: Swipe the ball to an open teammate to pass it. Dunking: Swipe to the hoop to finish the play! Stealing: Swipe the ball to steal it! Shooting: Swipe up to aim your shot! Winning increases fame! This raises energy and salary cap! Gold Coins are used to draft premium players. Star Player skills give an edge when they're active! Use extra cards to level up selected player cards. Leveling Up is crucial to keep up with other rivals. Level Up will always boost your players stats. Level up the team whenever you can. Evolve Cards to increase their star rating for huge skill and stat boosts! You can get full lives in Rival Stars Basketball app at anytime. You can get this cheat by changing your phone's time setting. Close your Rival Stars Basketball app by either restarting your phone or by killing it on your task manager. Open Rival Stars Basketball app and you will get your full Lives. 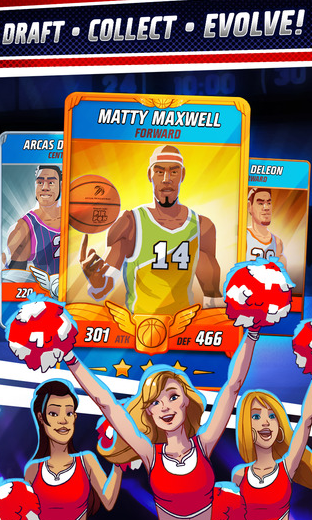 Open Rival Stars Basketball app but do not play a single game. Open Rival Stars Basketball app just to make sure that there is no problem.